Digital Asset, which is an enterprise company, is finally integrating its smart contract modelling language. The integration, in particular, is going to be with the Hyperledger Sawtooth framework. This integration will be deemed the first melding of code, one that will involve the DA’s DAML or Digital Asset Modelling Language and the 200-member Hyperledger consortium. The decision from the firm is also its third partnership. It is worth noting that the first one made possible after DAML officially became an open source last month. The company also revealed that the language will be integrated directly on VMware’s very own blockchain platform. 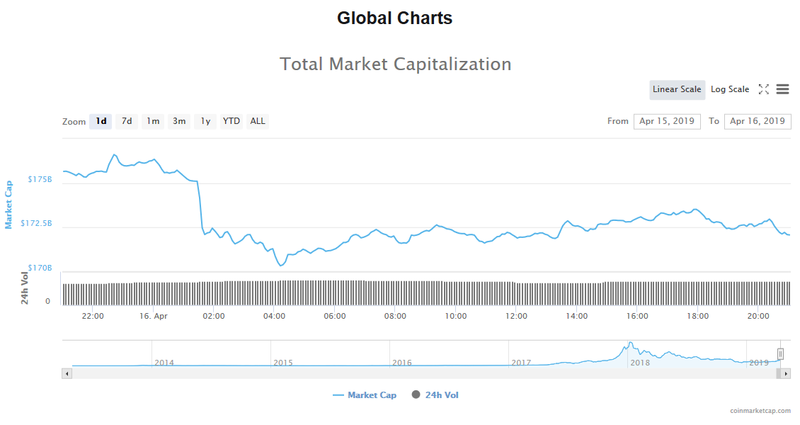 CoinMarketCap, which is a digital currency data tracker, has released to the public a new version of its app. It will reportedly be available on both Android and iOS. The application will include a handful of new features, most of which are meant for price tracking and user accounts. According to the official announce, CoinMarketCap’s new mobile application will feature candlestick charts and an option for users to set price alerts. These alerts are said to be applied on all digital currencies available on the website. In addition, the app will offer users with historical open-high-low-close chart, which will be updated on a daily basis. For users to take advantage of the app, they are required to make an account on the official site. Interestingly, the app will serve as a gateway for users to follow news and price changes, among others, relating to cryptocurrencies. Monex Group Inc., which is an online brokerage, is strongly interesting in adding digital currencies to its retail client offerings. The decision to do so is reportedly an attempt at trying to be more competitive when it comes to the local brokerage market. It should be noted that Monex managed to acquire Coincheck back in last year. This was during the time when the exchange was able to achieve an industry record breaking of $532 million hack, which took place in January 2018. Interestingly, Monex is now able to determine how instrumental Coincheck’s involvement is, especially since it can restore the company’s market dominance. As far as the 24-hour data is concerned, the cryptocurrency space saw a trade volume of $43.12 billion. As far as the market capitalization is concerned, it highlighted a figure of $172.23 billion. Bitcoin continues to be a leading crypto in the space, but it fell in the past 24 hours to 1.64%. This resulted to a price of $5,077.99. As for its trade volume, it reached $11.93 billion. Meanwhile, its market cap recorded $89.62 billion. Ethereum also followed BTC’s footsteps after it fell 2.20% for a price of $162.68. As for the altcoin’s trade volume, it is reportedly at $5.49 billion; whereas its market capitalization has $17.19 billion. Bitcoin Cash is the only digital currency in the rank that did not fall. When talking about the 10th spot, Cardano continues to embrace the throne. Bitcoin’s market price fell 1.64% to $5,077.99, with a market value of $62 billion. Ethereum’s market price fell 2.20% to $162.68, and the market value is $17.19 billion. 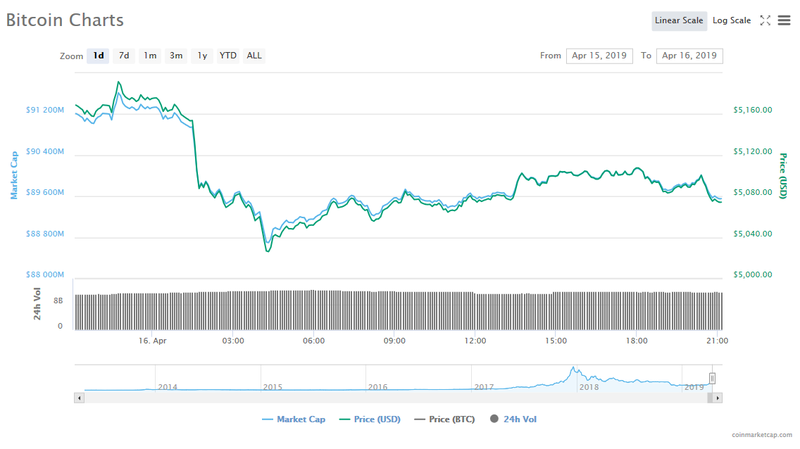 XRP’s market price fell 1.92% to $320792. The crypto’s market value is set at $13.46 billion. Bitcoin Cash’s market price jumped at 5.53% to receive $315.47 in price, and its value in the market is 5.59 billion. 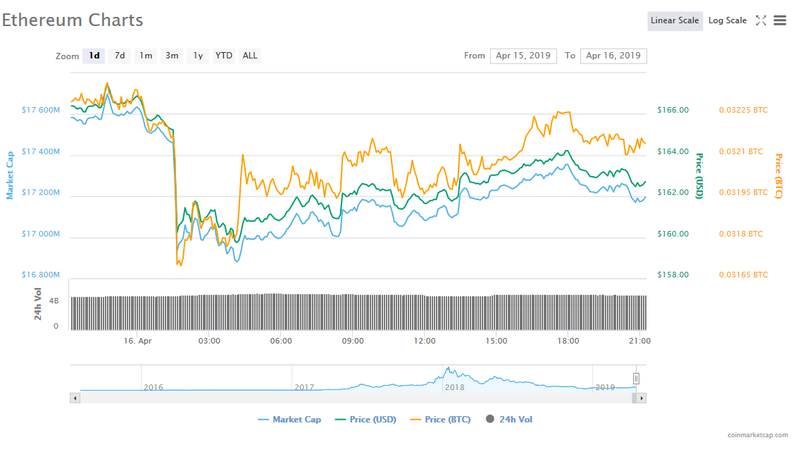 EOS’s market price fell at 1.50% to $5.39, and the confirmed value in the market is $4.88 billion. Litecoin’s market price fell 2.84% to $78.94, and market value topped $4.84 billion. Binance Coin’s price in the market fell 1.59% to $19.41, and its value in the market is $2.74 billion. Tether’s fell 0.16% to $1.01 in terms of market price, and its value in the market is $2.47 billion. Stellar’s market price fell 3.56% to $113110, and its value in the market is $2.18 billion. Cardano took the 10th spot from TRON, but it still fell 2.36%. This resulted to a trade price of $081549 and a market value of $2.11 billion. The cryptocurrency wallet company Ledger has now gone mobile with the launch of its new Nano X device. The company revealed its new Bluetooth-enabled product at the yearly Consumer Electronics Show that was held in Las Vegas on Sunday. Cryptocurrency miners in China are now selling off their mining equipment by weight rather than per unit cost thanks to the massive decline in the crypto market. Due to the decline in the cryptocurrency markets, the crypto mining sector has been hard hit too. The Dow Jones Media Group has joined hands with Brave Software to test the new Brave platform and its cryptocurrency token BAT (Basic Attention Token). The two companies announced that they would be experimenting with blockchain technology in the digital advertising as well as media publication space. The two largest diamond producing groups on the planet are now jointly testing a blockchain platform to track assets. Alrosa, which is the second-largest diamond producer after manufacturing giant De Beers, announced Monday it was joining the Tracr pilot program.